Acceleration for complex 3D models and large data sets. Introducing the ATI FireGL V8600 workstation graphics accelerators from AMD with Unified Shader architecture - this high end graphics accelerator with 1GB of memory and stereoscopic 3D display capabilities accelerates productivity when creating complex 3D models and large data sets for Medical Imaging, Digital Content Creation (DCC) and simulation. 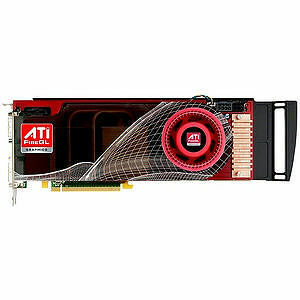 The ATI FireGL V8600 delivers industry leading features and elevated performance from your workstation.